﻿ MAKK Hotel, Kampot | FROM $26 - SAVE ON AGODA! "Loved MAKK, Rooms are well built-out and very clean." Have a question for MAKK Hotel? "Third time at Makk hotel, and always with pleasure." 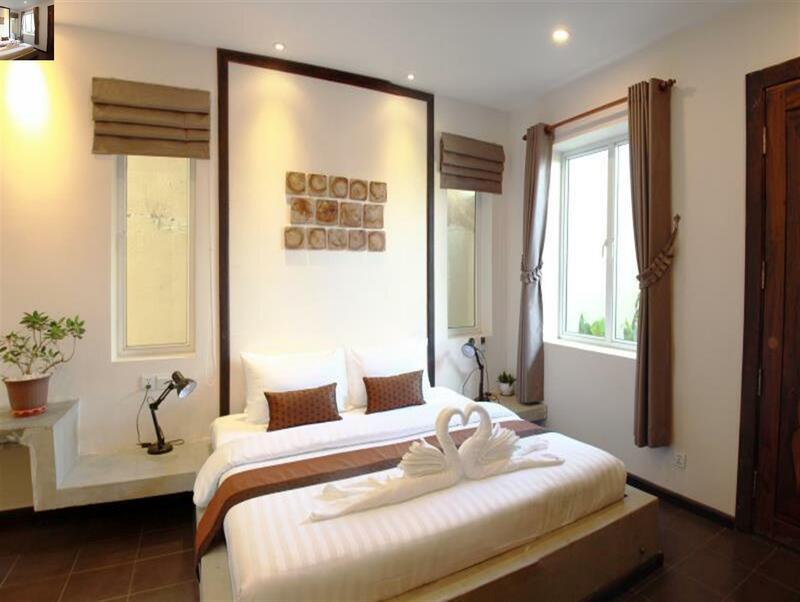 "Best Boutique hotel in Kampot and Cambodia!" "Great vacation for 9 of us;"
Nestled in the heart of Kampot City Center, MAKK Hotel is an ideal spot from which to discover Kampot. Only 0.5 Km from the city center, the hotel's strategic location ensures that guests can quickly and easily reach many local points of interest. With its convenient location, the hotel offers easy access to the city's must-see destinations. At MAKK Hotel, every effort is made to make guests feel comfortable. To do so, the hotel provides the best in services and amenities. To name a few of the hotel's facilities, there are free Wi-Fi in all rooms, 24-hour security, convenience store, daily housekeeping, gift/souvenir shop. 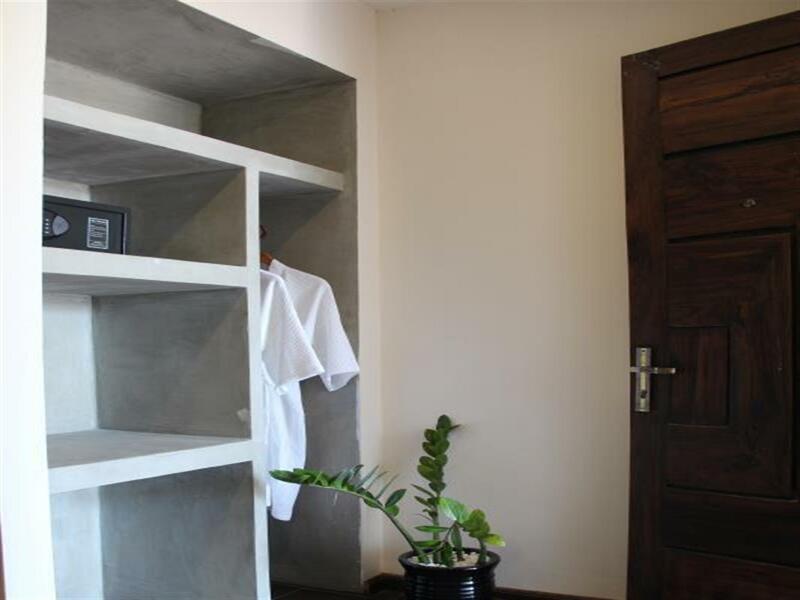 The hotel features 6 beautifully appointed guest rooms, many of which include television LCD/plasma screen, clothes rack, complimentary instant coffee, complimentary tea, free welcome drink. Whether you're a fitness enthusiast or are just looking for a way to unwind after a hard day, you will be entertained by top-class recreational facilities such as boats, fishing, children's playground, garden. 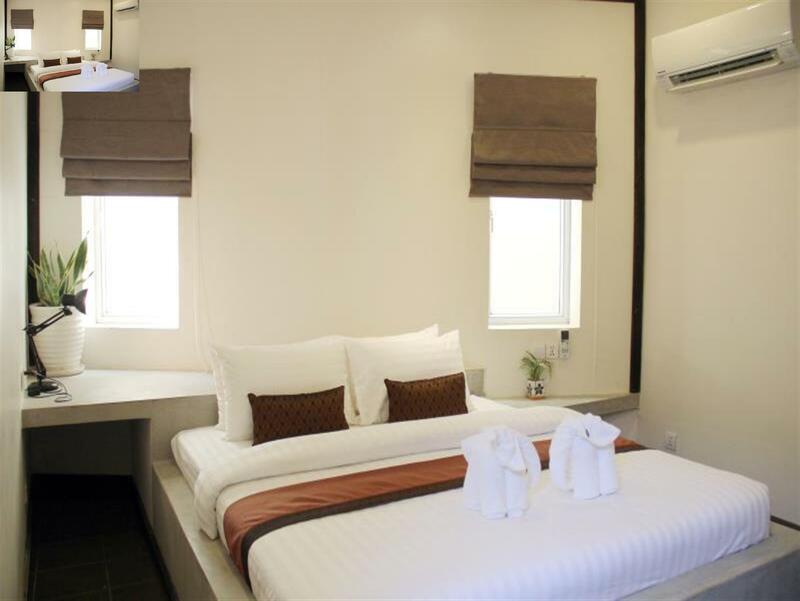 MAKK Hotel is an ideal place of stay for travelers seeking charm, comfort and convenience in Kampot. "Great location 10 minute stroll along the river into town ve..."
Reception staff spoke fluent English and all staff persons were very pleasant and helpful. Bath and wash towels were folded into animal shapes and placed on the bed each day; and on the first days they used cut up coconut leave to spell out a message “Welcome your name”. Upon checking out I left a tip and some packaged food for house keeping and they ran after me with the food, thinking I forgot them there. Breakfast was made to order and was quite decent. The bathtub was a great amenity after each grueling day of exploring the rugged countryside. I stayed there for 2 nights during my Thailand, Vietnam, Cambodia trip and I really enjoyed my stay in the MAKK hotel. The hotel is located quite central but still quited. The rooms are very nice and the staff is just fantastic. They really care about you. I booked an one day tour with a TukTuk to the countryside including the pepper farms and the Kep fish marked via the hotel and this might have been the best tour I ever had. They also organized my trip to Phnom Penh for me and it also worked great. The only thing that I regred is that I didn’t stay longer. This might be the best city to stay in Cambodia. With my knowlage now, I would stay 3-4 night there. I love it at my first sight. The room smells very good and the staff turn on ac before we get there so it was refreshing to enter the room. The whole place is really clean and has a great view of the river. Great value, will visit again! First time in Kampot and at this hotel. Location on river front yet on roundabout therefore traffic noisy especially with building opposite. Great views from rooftop with area to sit. Breakfast good choice and yummy.Staff didnt seem v friendly. Room was positioned within the reception and eating area....little strange. Room plenty of lightin and sockets for a compact space.Hot water good A C .Bathroom depressing colour and seriously needs a paint.V compact hotel , if it had a pool that would really make it . located across the road from the river at the far end of the riverside but within easy walking distance of everything Plus:, very helpful English speaking staff, excellent breakfast choice, well appointed rooms (rather on the small side for Cambodia), nice "'personal touches"": cleverly folded towels, personalized welcome. Minus: two active loud construction sites on one side ( during the day, 7 days a week) , a playground incl music ( not very loud but steady low beat) until 20h30 on the other side. If you plan to spend some time during the day in the room ( as you might have to at least during the rainy season) this is currently not the place to go. Can’t really beat this place for the price. The room was clean, no critters, hot water, strong ac, quiet when it’s time to sleep, very short leisurely walk along the river to main part of town. Staff spoke excellent English and were very helpful and friendly. We didn’t use it but there is also pool access at their sister hotel not too far into where the night market is. We got exactly what we needed here. I really enjoyed staying here and would consider staying again if I return to Kampot. Friendly and helpful staff, clean room, breakfast was good, location was good--within walking distance of the city. Nettes kleines Hotel in guter Lage. Great vacation for 9 of us; 3 double and 1 family rooms. Ala carte breakfast. Many love the pancake breakfast. Relaxing dining area for us to chill. Staff esp Sokha is very courteous. We are a group of 7 with booking of 3 rooms at MAKK hotel for two nights. 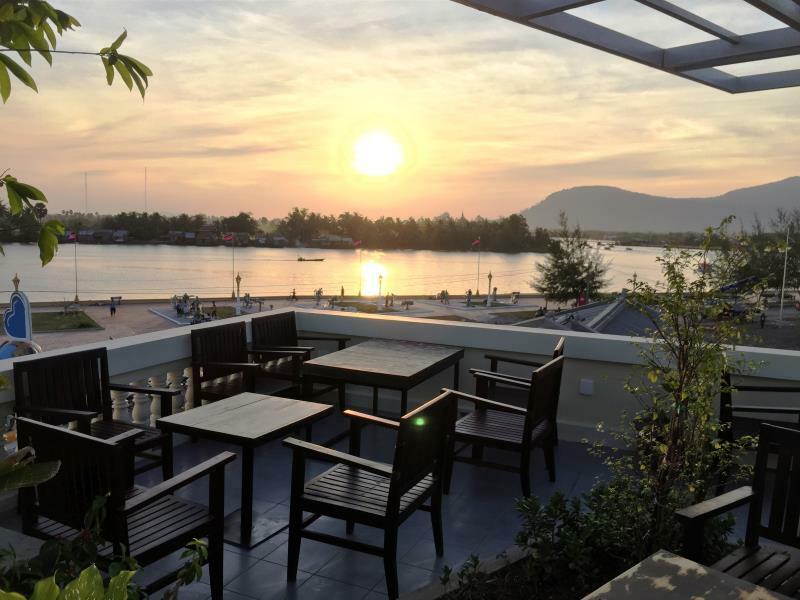 The hotel is well located with kampot river across the road, you can just sit comfortably in the hotel rest area with a cup of coffee enjoying kampot river's sunset view. 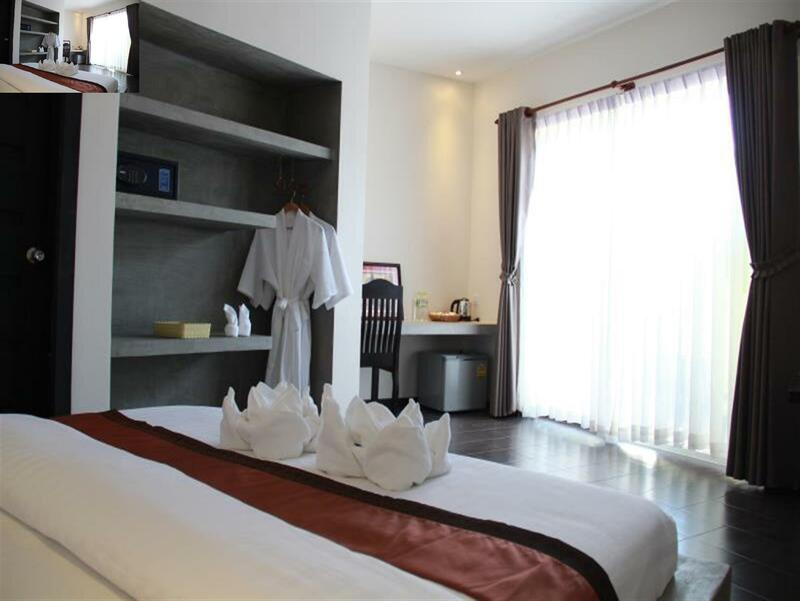 Rooms are of good size, clean and nicely decorated. Facilities are adequate with wifi works well throughout. We took day tours arranged by the hotel, which were all fine. The sunset cruise tour in particular should not be missed. Mr Jimmy the hotel host has been very helpful and responsive to all our emails / queries before our stay. He even took the initiation to call us and our next check in hotel in sihanoukville after he found out we have left behind a handphone after we have checked out from MAKK. Then he made extra effort to coordinate with our Sihanoukville hotel to send the handphone to us with no extra charge. Throughout the process, we were not disturbed at all. Truly we were amazed by this special service offered by this small hotel in kampot. Will surely recommend this hotel to all. Most importantly, room price is very reasonable! Hotel is so small like a normal house with Khmer style but room is very nice and clean and bright. Staff are friendly and they prepare the room very nice with lovely small duct (from towers) and welcome us with our name on the bed, so surprise. Good location near Park and Kampot River, can see people doing exercise in the evening and morning. They have another location with swimming pool, the staff told us we can go to swim there if we want. We stayed two nights here, everything is nice,room is big and clean. Walk distance to the river, near the river you can find many restaurants.breakfast has Asian food and Western food,one thing is anoying when we eat many flies around us, but seem like it is normal in this country. The staff is really nice,always smile, when I checked out, they gave me some local pepper and one of them wait with us for the bus to sihanouville, it is so sweet. I really recommend it!